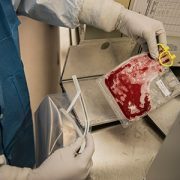 A unique immunotherapeutic approach that expands the pool of donor-derived lymphocytes (T-cells) that react and target three key tumor-associated antigens (TAA) is demonstrating success at reducing or eliminating acute leukemias and lymphomas when these cancers have relapsed following hematopoietic stem cell transplant (HSCT). 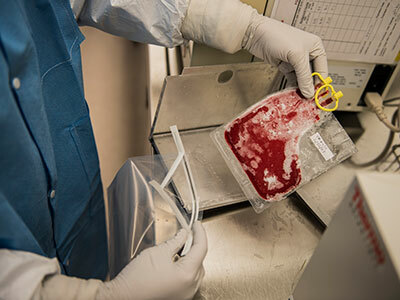 “There’s currently a less than 10 percent chance of survival for a child who relapses leukemia or lymphoma after a bone marrow transplant—in part because these patients are in a fragile medical condition and can’t tolerate additional intense therapy,” says Kirsten Williams, M.D., a blood and marrow transplant specialist in the Division of Hematology at Children’s National Health System, and principal investigator of the Research of Expanded multi-antigen Specifically Oriented Lymphocytes for the treatment of VEry High Risk Hematopoietic Malignancies (RESOLVE) clinical trial. The unique manufactured donor-derived lymphocytes used in this multi-institutional Phase 1 dose-ranging study are receptive to multiple tumor-associated antigens within the cell, including WT1, PRAME, and Survivin, which have been found to be over-expressed in myelodysplastic syndromes (MDS), acute myeloid leukemia (AML), B-cell AML/MDS, B-cell acute lymphoblastic leukemia (ALL), and Hodgkins lymphoma. Modifying the lymphocytes for several antigens, rather than a single target, broadens the ability of the T-cells to accurately target and eradicate cancerous cells. Preliminary results demonstrate a 78 percent response rate to treatment, and a 44 percent rate of total remission for participating patients. To date, nine evaluable patients with refractory and relapsed AML/MDS, B-cell ALL, or Hodgkins lymphoma have received 1-3 infusions of the expanded T-cells, and of those, seven have responded to the treatment, showing reduction in cancer cells after infusion with little or no toxicity. All of these patients had relapse of their cancer after hematopoietic cell transplantation. The study continues to recruit eligible patients, with the goal of publishing the full study results within the next 12 months. “Our preliminary data also shows that this new approach has few if any side effects for the patient, in part because the infused T-cells target antigens that are found only in cancer cells and not found in healthy tissues,” Dr. Williams notes. The approach used to expand existing donor-derived TAA-lymphocytes, rather than using unselected T cells or genetically modified T-cells as in other trials, also seems to reduce the incidence of post infusion graft versus host disease and other severe inflammatory side effects. Those side effects typically occur when the infused lymphocytes recognize healthy tissues as foreign and reject them or when the immune system reacts to the modified elements of the lymphocytes, she adds. Dr. Williams discussed the early outcomes of the RESOLVE trial during an oral presentation at the American Society for Blood and Marrow Transplantation meeting on February 22, 2017. This is one of the first immunotherapeutic approaches to successfully capitalize on the natural ability of human T-cells to kill cancer, though previous research has shown significant success for this approach in reducing the deadly impact of several viruses, including Epstein-Barr virus, adenovirus, and cytomegalovirus, post HSCT. These new findings have led to the development of additional clinical trials to investigate applications of this method of TAA-lymphocyte manufacture and infusion for pre-HSCT MDS/AML, B-cell ALL, Hodgkins Lymphoma, and even some solid tumors.